Buying a property is one of the biggest investment that one makes in life. Therefore, one must be completely sure of what they reinvesting into. Buying a flat might mean putting all their lifetime earnings into one. Therefore, the investment decisions must be a careful one. 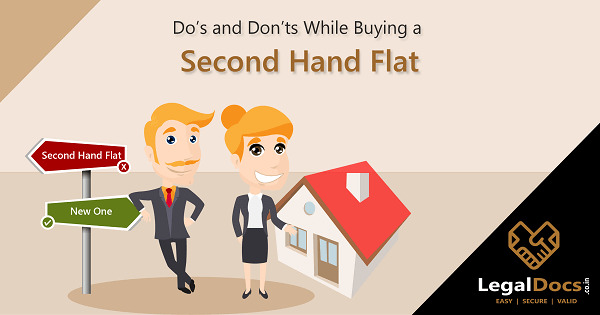 Here is a list of few things that one must check before proceeding with the purchase of the flat, especially if it is a second-hand flat. While choosing the perfect flat, it is important to compare the properties in terms of location, price and possession date. For this purpose, it is always essential that one visits the flat that one is thinking of buying. One may choose between the private builders and the developers and the schemes that they offer. There are also housing schemes that are offered by Central and State government. These schemes offer flat at concessional rates. Some of the schemes are offered by Ministry of Urban Development. Besides, there are occasional schemes where flats are offered to people through application and allotment process by the state development authority. Check if the location of the flat is accessible to your work location, schools, hospitals, and other amenities. One must check and avoid a flat which is located near any polluting agent. The flat bust provides basic necessities of life. This means the provision of electricity and clean water. It is illegal to have residential properties on commercial land or industrial zones. One can check the same by applying to the Urban Development Authority and ensure if the flat lies in the residential zones. This is more clear in a second-hand flat as the previous owner would have checked and received a certificate for the same. Cities are expanding at an exponential rate. Often agricultural land is converted to residential areas. These zones are known as converted zones. In such cases, one must ensure the endorsement order passed by the tehsildar or the deputy commissioner of the zone. Often builders and developers try to sell the flat claiming future infrastructural development of the area. This may be a highway or a metro project coming up nearby. Do not believe their commitments blindly. Verify through the city master plan that is available with the planning department. A builder must provide a copy No Objection Certificate (NOC) of; urban land ceiling, an environment clearance, electricity, water and lift authorities. There are chances that the flat one plans to buy has more than one owner in the past. This means it is necessary to get all the legal documents of the past owners tested by the lawyers. One must also ensure if the flat has any legal proceedings going on. At times, when there are co-owners or many descendants of the flat, there are chances of legal battle arising regarding the right of ownership of the flat. This can be verified by checking the records at the Sub Registrarâ€™s Office. Verify the details of registration of the society where the flat is being purchased. One must check if the sale of the property is done through Power of Attorney as it may be riskier. Get the registration of the flat done carefully. One may even look for a consultant or a lawyer if one is not sure of getting it. After one decides which flat to buy, making financial arrangements for the flat is the next thing. One may choose to buy the flat through the funds available. However, if the funds fall short, one may even opt for a loan from banks or other financial institutions. It is important that the cost of the loan (the interest paid on the loan) is also considered while amounting to the cost of the flat. Different banks and financial institutions offer different loan facilities. A bank loan may help the first time buyers purchase their dream home through a Home Loan. But, banks have stringent lending rules. They provide loans only when the collateral is offered to them. This collateral may even be the flat you are planning to buy or taking the loan for. Despite a loan, one will have to arrange an amount for registration that may also be referred to down payment. There are options available where banks may offer loans with low down payment. But sometimes, the government may also offer schemes that help people buy a flat. These are also known as housing schemes that are usually applied to people or families belonging to the low-income group. Ensure there are no dues on the flat regarding electricity, water, and property tax. While looking at all the beneficial aspects of buying a flat, one must pay some heed to the clauses of redevelopment agreement especially if the flat is second hand. The redevelopment period should not be more than two years and the developer should give 20 percent price of the redevelopment project as bank guarantee. It is important that the development rights given to a builder or developer are non-transferable and the agreement made thereafter has a special mention of the carpet area included in it. According to Real Estate (Regulation and Development) Act (RERA), the promoter or the builder is responsible for providing and maintaining the essential services for which they are liable to charge maintenance charges. However, after the Resident Welfare Association (RWA) is handed over the maintenance works, a builder can no longer charge for maintenance. Maintenance charges are the most common future burdens that most home flat buyers fail to account while purchasing a flat. These charges may be higher if the flat is second hand. The charges depend upon the structure of the building. Sometimes it is fixed from each household irrespective of the area of the flat. Maintenance charges must be decided only after the services and the amenities that the project intends to provide. No builders and developers can charge arbitrarily. Each state government has made rules regarding these charges. Are you Looking to Buy a Second Hand Flat in India? 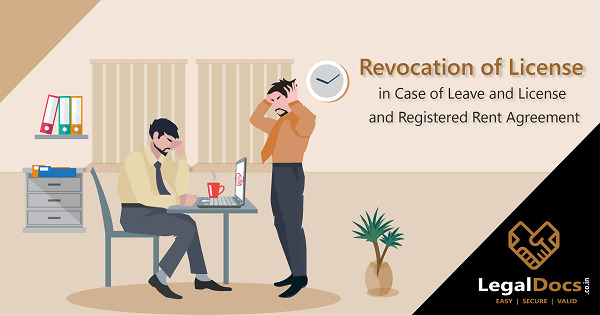 Legaldocs will guide you in getting all necessary Legal Documents and Registration required to buy a Second hand flat in India, Please click on the following link to connect with our consultants. 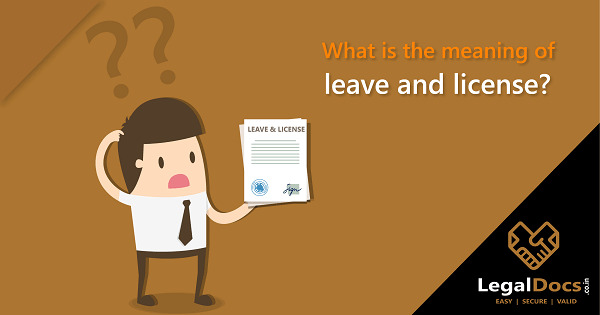 What is the meaning of leave and license?